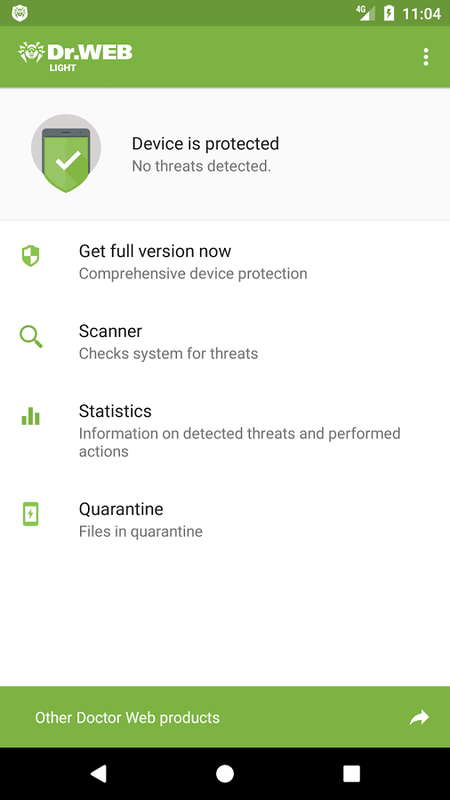 Russian anti-virus company Doctor Web has released the tenth version of its free anti-virus for Android—Dr.Web Light for Android. 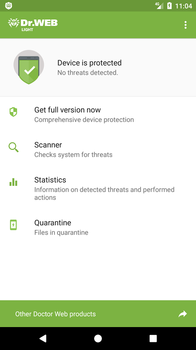 The application boasts a substantially improved UI and upgraded features; it also now supports Android 7.1. Tweaks made to the Dr.Web Light for Android interface make it even more user-friendly. Now the application uses a single event window in which all threat notifications are displayed. Furthermore, version 10 is equipped with a new anti-virus engine and enjoys enhanced malware detection. For better troubleshooting, the application now also collects and logs additional information. Dr.Web Light for Android will be updated to version 10.0 automatically for users. If automatic updates are disabled on your device, you need to go to Google Play, choose Dr.Web Light on the application list, and click "Update."